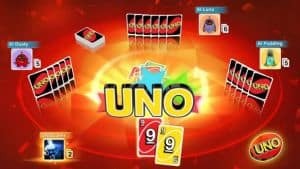 UNO Switch is the Best Video Game You're Not Playing | Nerd Much? With titles like Super Mario Odyssey and Breath of the Wild, Nintendo was a shoo-in for Game of The Year. Needless to say, 2017 will go down in Nintendo history as one of the best years this company has ever seen. I think all of us expected these entries to be great Mario and Zelda games, respectively. However, none of us fully anticipated just how iconic these titles would be. There’s something special about games that manage to exceed the high bar set for them. Conversely, today I’m talking about another type of game: the “I expect nothing from this” kind. The type of game with a bar set so low that most of us won’t even bother with it at all. A game we write off as basic, silly for even existing among a slew of “real” games. 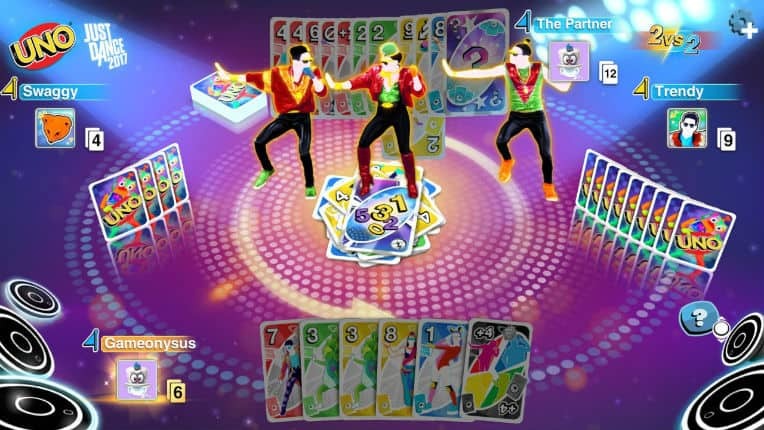 For me, Ubisoft’s UNO game on Switch fell into that category. While exceeding high expectations is impressive there’s also something magical about the sleeper hits. Enter: UNO for the Nintendo Switch (also playable on just about everything). Being a long time fan of the UNO card game didn’t stop me from thinking this game would be a waste of $9.99 and an embarrassing addition to my otherwise wonderful game line up. I’ve never played any card or board game virtually and, to be frank, I was pretty snobby about that fact. It wasn’t so much that I looked down on anybody who got excited about online Poker, virtual chess, or the latest iteration of Monopoly on console; I am a firm believer that people can enjoy what they enjoy as long as they’re not hurting anyone. But this mindset didn’t stop me from thinking virtual UNO was stupid, in general. It was my brother who convinced me. And of course, I have a deck of the physical cards on hand. Yet, that seemed completely unappealing. Don’t get me wrong, I’m always down for a hand of UNO. And, as a kid, my brother and I faced off all the time. But, as adults, the idea of shuffling the deck after work for a game of 2 player UNO wasn’t something I could get excited about. Having it on the Nintendo Switch, however, would add the novelty to the whole thing. Plus it wouldn’t just have to be us. We could face computers; we could even face people online. I started to entertain the thought. We could, in fact, be playing UNO right now… Eventually that turned into we should be playing UNO right now. And then the download was complete. Keep in mind, the first time I played UNO was 15 years ago. I figured, “I’ve seen it all before and don’t need to see it on a screen.” But th s was my own ignorance. The change in interface from playing UNO in real life to playing UNO as a video game made a world of difference. The custom rules, franchise decks, and novelty of co-op completely won me over. 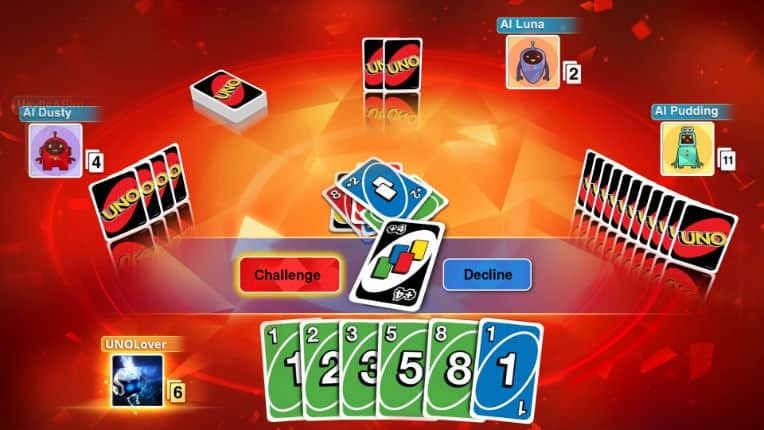 One of the biggest issues I encountered with UNO in real life is it always takes everyone a second to adjust to whatever rules we were playing by. Plus, there were always follow-up questions to be asked. One declaration would always invite several follow-up questions. If we play stacks it’s plagued by “numbers or colors?” and countless “so if’s…” Still, UNO’s variety of play styles is one of its strengths (even if it creates some confusion along the way). But virtual UNO eliminates those issues entirely. 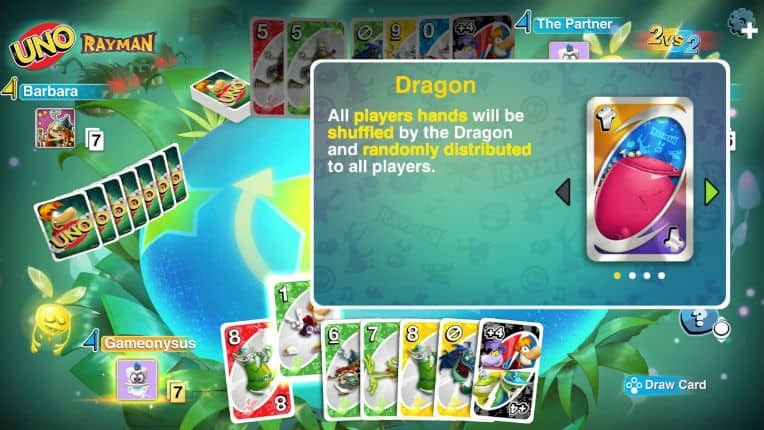 Everything is clearly set and explained; plus, you’ll never accidentally play an invalid card (the game simply won’t let you). Franchise Decks Are Literally Game Changers. Best of all, each of these features are as fun as they are creative. 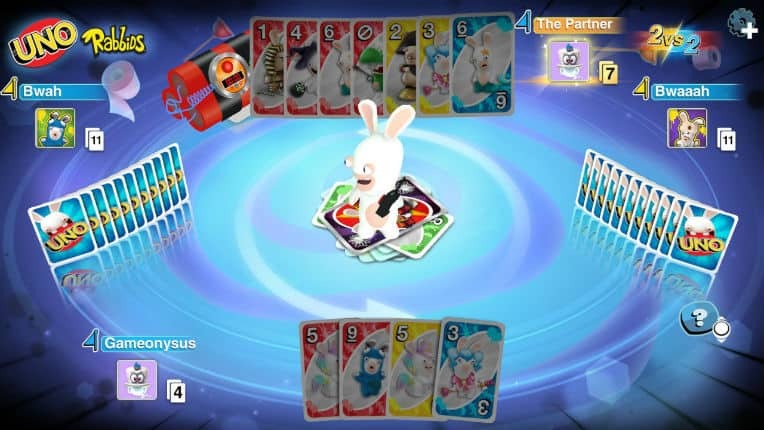 UNO Co-Op Play is Only, Truly, Possible Virtually. I’ve played UNO as a team before, in real life, and it’s awkward. You can’t fully collaborate because, well, the enemy is right there. But when you play against a pair of A.I or players online, you can chat away with your partner. UNO is secretly one of the best co-op games out there. It’s fun, easy, and quick; plus, there’s nothing quite like getting that W in UNO. For my co-op experience, I partnered up with my brother aka my UNO rival throughout childhood. As kids, we played hours and hours of the game. Needless to say, both of us are pretty damn good. Being able to combine forces made us deadly; it took dozens of games for the A.I to beat us and we’re currently undefeated online (only a few matches, but still!). What makes co-op play so exciting is that you’re forced to examine the game in a new light if you want to optimize your cards. This means considering your partner’s hand before choosing a color, especially late in the game. Suddenly “reverse” cards have a new layer of strategy to them (ex. I need to reverse this so that my partner can you their draw 2+ on the opponent to the right because they’re the closest to getting UNO). Co-op play makes things a bit more elaborate but it also means you get to share the thrill of crushing your opponent and split the agony of defeat. There’s nothing like some tag team gameplay, especially when the pair is evenly matched. 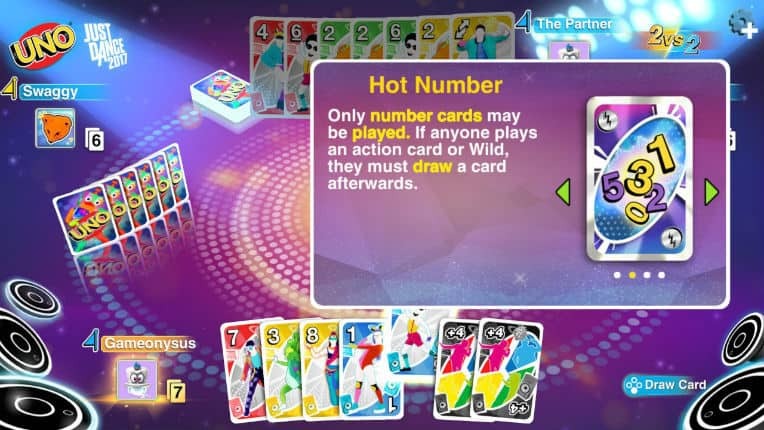 And one of the plus sides of UNO is it’s extremely approachable for non-video gamers because all the skill is rooted in the card game rather than aim, memorizing combos, platforming ability, or general video game schema. UNO, as a card game, never gets old; but UNO as a video game actually gives you a reason to return to this classic. 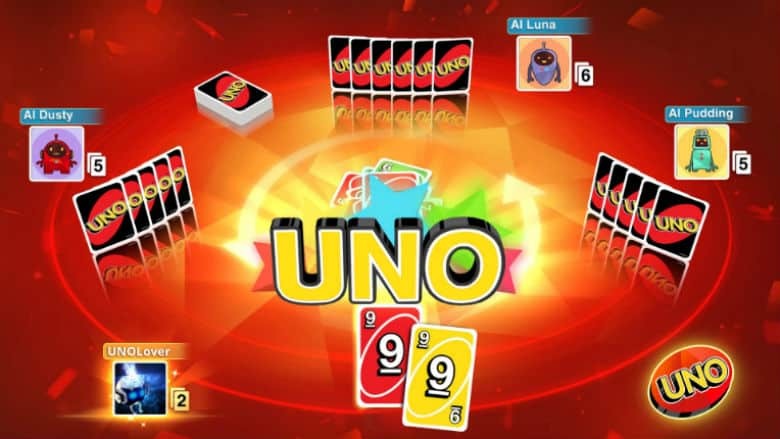 Take it from a skeptic, UNO on Switch is undoubtedly a must have video game.